Access to resources and technology via the Wood Industry Summit. 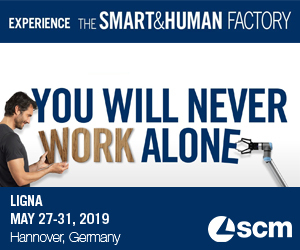 The next LIGNA, which will be held in Hannover, Germany May 27-31, 2019, will put the spotlight on three key themes: “Integrated Manufacturing - Customized Solutions”, “Smart Surface Technologies” and “Access to Resources and Technology”. 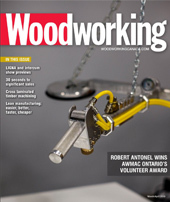 For primary wood industry players, the world’s leading trade fair for machinery, plant and tools for the woodworking and timber processing industry serves as an important platform for dialogue and the latest technologies as well as a gateway to new markets. The same is true of the fair’s Wood Industry Summit, which will be themed “Access to Resources and Technology”. 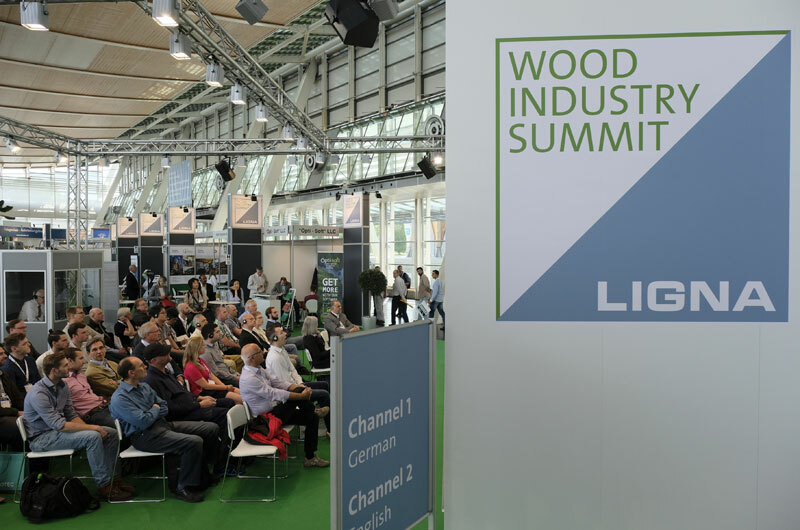 The Wood Industry Summit is a joint production by LIGNA organizer Deutsche Messe and the German Forestry Council (KWF) and will be in its third season at LIGNA 2019. Comprising a forum, lounge and exhibition space, the Summit will have a strong presence right in the heart of Hall 26 at the Hannover Exhibition Center. The focus will be on ways of optimizing the entire forest-wood-logistics value chain – from standing trees through to final processing in the factory – as well as on protecting forests from biotic and abiotic damage, and on climate and environmentally-friendly harvesting processes and the future of the forest and wood industry. Other key themes covered by the Wood Industry Summit include digitization in forestry, data protection and data integrity, forest firefighting, forestry infrastructure, road networks and logistics. Digital technologies now span the entire forestry value chain, from forest information and integrated harvesting systems right through to modern forest management practices. The technologies involved include drones, apps, laser scanners and all kinds of sophisticated software programs. Sustainable forest management involves enormous volumes of data, such as forest inventory data, silviculture data, environmental and wildlife data, operational data, and data relating to feasibility studies, risk analysis, accidents, forest damage and monitoring. As in other industries, the key to getting the most out of these vast data streams is efficient data management software. That’s why digitization will be at the forefront of topics explored at next year’s Wood Industry Summit, both in the discussion forums and in the exhibition area. “We are delighted that the German Forestry Council is supporting us again this year by giving us access to its excellent international networks and by ensuring that the topics covered at the Summit are highly relevant and offer a good mix of scientific and commercial issues,” said Christian Pfeiffer, Deutsche Messe’s Global Director LIGNA and Woodworking Events. The Wood Industry Summit will feature a different focus theme on each of the five days of the show. “It’s a perfect platform for networking and sharing knowledge with international representatives from science and politics, decision-makers from the pulp and paper and panel products industries, and forest industry professionals from some of the most resource-rich regions in the world,” explained KWF Director Dr. Ute Seeling. The Wood Industry Summit comprises a series of panel discussions and speed presentations, a meeting area, Guided Tours and an exhibition area. The 2017 Wood Industry Summit attracted delegations from Brazil, Bulgaria, Chile, Germany, Finland, Canada, Columbia, Rumania, Russia, Ukraine and the USA, and resulted in contracts worth over 30 million euros. In 2017, LIGNA featured more than 1,500 exhibitors from 50 countries and occupied some 130,000 square meters (1,399,300 sq. ft.) of net display space. It also attracted 93,000 trade visitors, 43,300 of whom came from abroad, from more than 100 different countries.